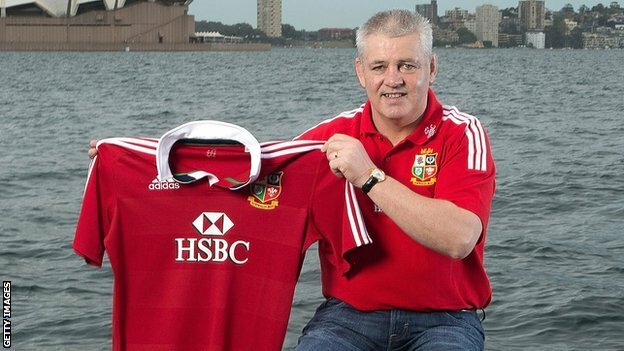 British and Irish Lions, who will feature in Gatland’s selection? The squad Warren Gatland chooses to tour Australia this summer is a very interesting topic in my opinion. A lot of different views on which players should be in the squad. Should the squad be picked on form or reputation? That is where Warren Gatland has to make the important decision. However I believe a mix can’t go wrong. The tour of 2009 saw many ups and downs. The squad was very much built around reputation and this saw the British and Irish Lions lose the series 2-1 to South Africa. Some decisions in 2009 were brilliant. The centre pairing of Jamie Roberts and Brian O’Driscoll worked wonders, some called them the best centre pairing in world rugby at the time. I agree with this profoundly, O’Driscoll’s experience and the sheer strength of Roberts were enough to perk the whole squad up. Gatland has a very tough task in bringing together a winning squad, made even more difficult by the taunting fact that no Lions side has won a series since 1997. Gatland will very much be keeping an eye on the likes of Paul O’Connell, Simon Zebo, and Dan Lydiate. Who have all been outstanding for Munster (O’Connell, Zebo) and Newport (Lydiate) of late, however, have all been plighted by injury recently. Then there is the factor of the players who have not performed to their best in the 6 Nations. The shining example here being Rob Kearney, I am a massive fan of Kearney and hope he is on the plane over to Australia but his performances in the 6 Nations were not of what he has been seen to achieve. This can be down to the back injury which ruled him out of the Autumn series and much of the Christmas period for Leinster. If the squad was to be based on reputation, the following list is what I would choose for the starting line-up of the first test on the 22nd June. Reputation-wise the squad has a very strong chance of winning in the summer as they’re all well-seasoned players. However, many have been prone to the odd injury over the past 12 months which might limit there chances of the success in Australia this summer. Some have also seen a dip in form in the past year which might harbour there chances of being on the plane over to Australia in June. Whereas, if the squad has to be based on form alone, I believe the following list would be best suited following the 6 Nations, Leagues (Aviva Premiership and Pro12) and European competitions (Heineken and Amlin cups). For the squad to be based around form it is very difficult to choose an efficient squad due to the often dips/surges in form by many players. This would be my rough estimate based mainly around the 6 Nations. Very Welsh based due to there strong performances throughout, English often showed there strength but I believe for the positions that would be most highly contested for a place there was players with better form. If Warren Gatland can find the much needed happy-medium between reputation and form it is very likely he can produce a winning squad to travel to Australia. I am very excited to see which squad Gatland picks to travel but he has some very difficult decisions to make in the upcoming weeks. Does he go for reputation and experience or base it entirely on form?